Home / Health Advice / Medical tips / Metabolic Syndrome Markers. Are You at Risk? Metabolic Syndrome Markers. Are You at Risk? The name for these risk factors is termed: metabolic syndrome. The first risk factor is a large waistline, or excess fat in the belly area, medically know as checking your ' >9.0 waist-hip ratio' according to the U.S. National Heart, Lung, and Blood Institute. This is the only visible sign. 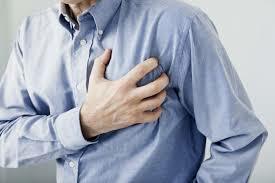 The second risk factor is high triglycerides, a type of fat found in your blood. The third is a low level of HDL known as high-density lipoprotein -- cholesterol, the so-called good cholesterol. Keeping regular visits to your physician will help you keep track of your blood pressure, cholesterol and blood sugar levels which are important indicators of improving your health. With time, if these predisposing risk factors are not well in check, a need for medication might arise.